Prepare for a serious kick in the snack pants with these crispy, crunchy, can't-stop-munching Sriracha Chili Kale Chips. They make a mockery out of snacks with no substance, and their exotic flavor sizzles with spice. 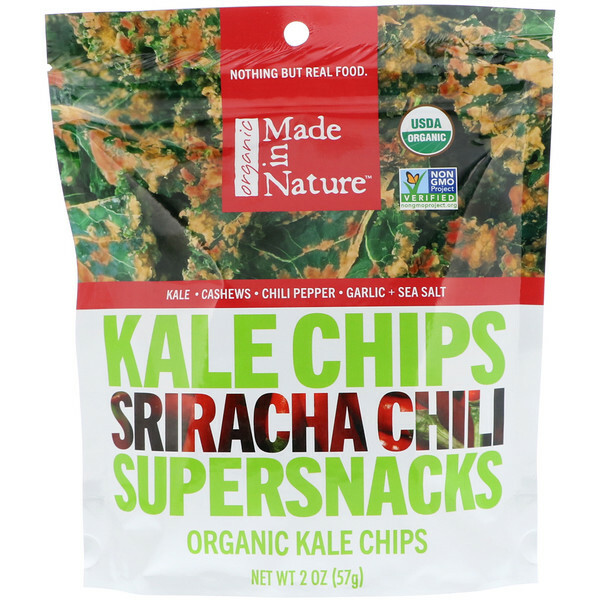 These powerhouse chips prove that nutrition and flavor can go hand-in-hand --- yes, nature did it again - that's a craving flame you won't ever want to put out. Organic kale, organic bell peppers, organic cashews, organic sunflower seeds, organic chickpea miso (organic rice koji, organic chickpea, sea salt, water, koji (aspergillus oryzae)), organic apple cider vinegar, organic garlic, organic maple syrup, organic red chili, sea salt. 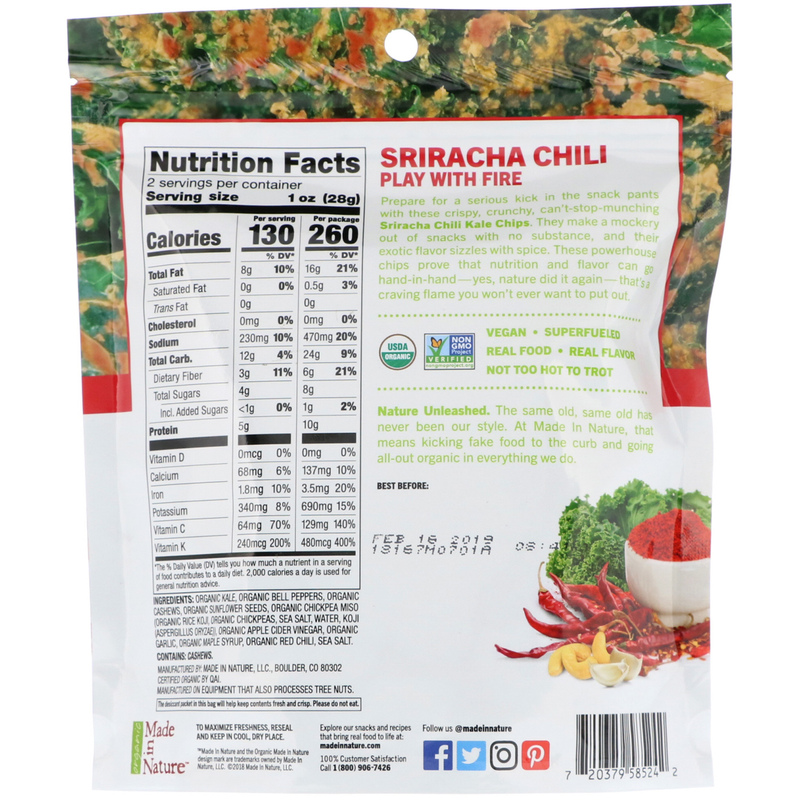 The desiccant packet in this bag will help keep contents fresh and crisp. Please do not eat. To maximize freshness, reseal and keep in cool, dry place.